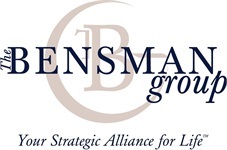 Kim has been a client of The Bensman Group for over 25 years. 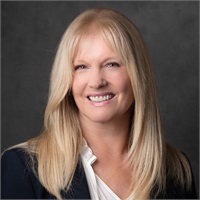 Throughout her years of association with Bob Bensman and her interaction with multiple divisions within TBG, she realized how closely her own values and focus on enriching lifelong relationships aligned with the mission, integrity and values of the firm. After 24 years sharpening her skills in communications, event planning, mediation, conflict resolution, and strategic planning as a mother of three sons, she decided to join TBG in 2018 as their Concierge. This new position was created to deepen relationships with our accomplished clientele and utilizes her many talents. Kim’s focus is on providing clients with opportunities for personal/professional enrichment and growth through corporate outings and personalized private events. In addition, she provides support to optimize The Bensman Group client experience as a liaison for our private client group. While raising her family, Kim was an active volunteer, both in the school and community. She currently tutors disadvantaged youth in North Chicago, IL. Kim is a Phi Beta Kappa graduate of the University of Iowa. She received her Bachelor’s Degree in Psychology and a Master’s Degree in Speech Pathology and Audiology. She has served on a variety of charity boards including the University of Chicago Cancer Research Foundation, District 106 School Board, and Lake Forest Open Lands Associate Board. Kim’s interests include hiking, golf, skiing, travel, music, reading, and sharing memorable experiences with family and friends.